Two members of House of Representatives endorsed by J Street spearhead letter demanding removal of Stephen Bannon. Two members of the U.S. House of Representatives spearheaded a letter by 50 House Democrats to President Donald Trump demanding the removal of Stephen Bannon from the National Security Council. The letter sent Friday and initiated by Reps. Jerrold Nadler, D-N.Y., and Ted Deutch, D-Fla., decries the removal of the chairman of the military Joint Chiefs of Staff and the director of national intelligence from the council, and their replacement with Bannon, Trump’s chief political strategist, and Reince Priebus, his chief of staff. Both Nadler and Deutch are backed by the J Street organization, which advocates on behalf of Palestinian statehood. The letter takes special issue with Bannon and his senior role on the NSC, however, noting his background prior to joining Trump’s campaign last summer helming Breitbart News. Bannon once described Breitbart News as a platform for the “alt-right,” a loose assemblage of anti-establishment groups that includes anti-Semites as well as strident defenders of Israel. One unifying thrust of the alt-right has been its hostility to Islam, and the letter writers say that Bannon is an especially inappropriate choice as the United States confronts the Islamic State, also known as ISIS. Nadler, in a statement accompanying the letter, emphasized Bannon's associations with the alt-right. 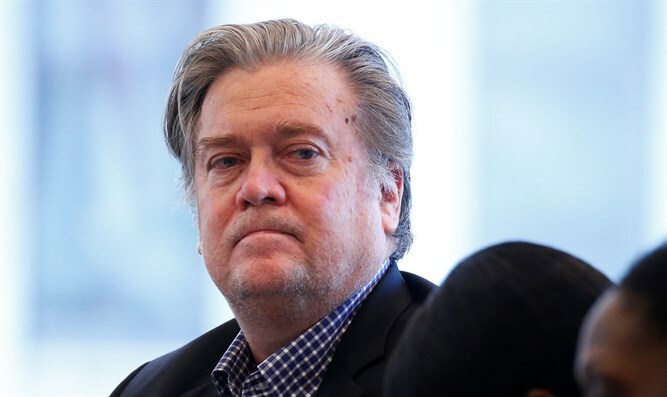 "Stephen Bannon’s lack of foreign policy experience and former leadership of a website closely aligned with the anti-Muslim and anti-Semitic alt-right should disqualify him from serving in such a high-level national security post," he said. Trump’s spokesmen have noted that the NSC is staffed entirely at the discretion of the president, and have said that top military and intelligence officials are still welcome to attend its meetings. Of the 50 House members who signed the letter, eight are Jewish, out of a total of 20 Jewish Democrats in the House.